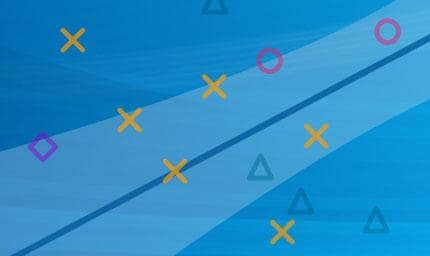 In JMP, data visualization and exploratory data analysis (EDA) go hand in hand, giving you the tools you need to make breakthrough discoveries and communicate results. 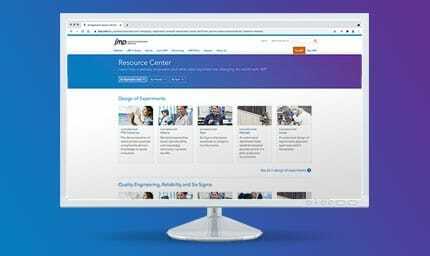 Linking dynamic graphics with powerful statistics, JMP helps you construct a narrative and interactively share findings in ways colleagues and decision makers can readily understand and act upon. 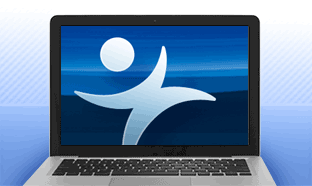 With JMP, analyses unfold, driven by what the data reveals at each step. 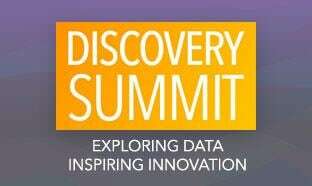 You can explore your data without leaving the analysis flow or having to rerun commands as new questions arise. 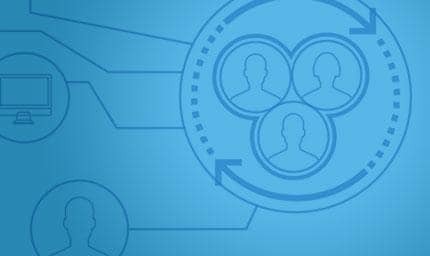 And the in-memory architecture of JMP means you don’t have to wait for a server to return data analysis results, even with significant volumes of data. 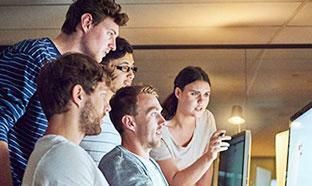 JMP supports heuristic, open-ended and dynamic EDA, which often involves significant data quality and aggregation steps as users analyze data and try different visualizations to tell its story most accurately. 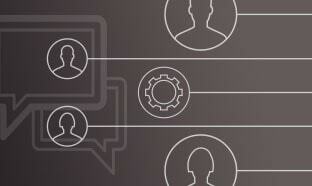 EDA is a data analysis tool that can also guide you in building a useful model. 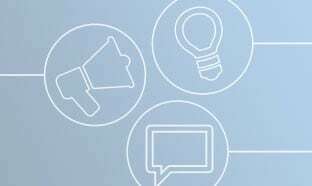 Collection and modification of data are the first and most important steps of your analytic journey – and often the most time-consuming. Exploratory data analysis (EDA) helps find structure in data – whether in small samples or large volumes of data collected from many domains. JMP offers the tools you’ll need to expedite this vital portion of the analysis workflow, with a rich suite of tools to access, combine, filter and cleanse your data in preparation for data analysis. 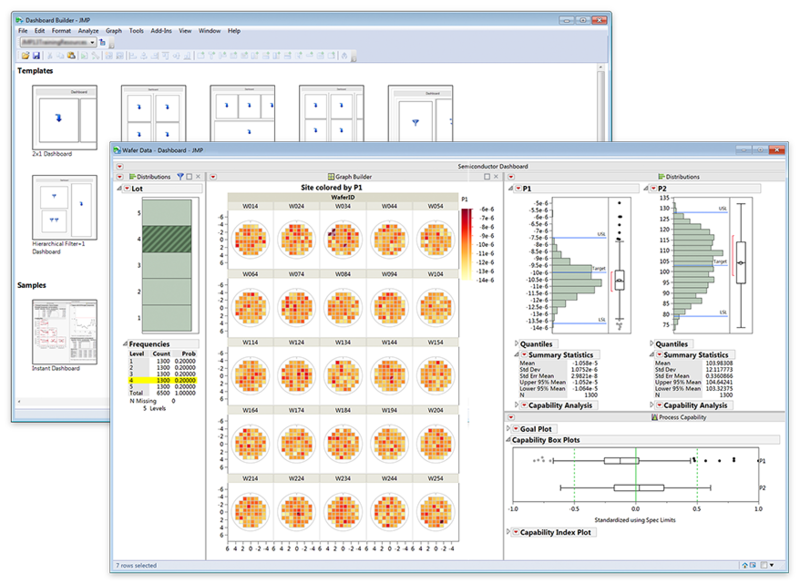 The interactive graphics and robust data analysis capabilities in JMP make it an ideal alternative to Excel for EDA and other types of statistical data analysis. Missing data patterns, Graph Builder and linked histograms help reveal patterns and trends in your data, enabling you to find things you may have otherwise missed by looking at a spreadsheet of numbers. Using the Data Filter to obtain conditional selections by a dimension in two linked displays of sales data colored by retailer. The heart of JMP visuals is interactive graphs, supported by world-class analytics. Dynamic linking allows selections made on one graph or data table to be reflected in all graphs that are based on that table. 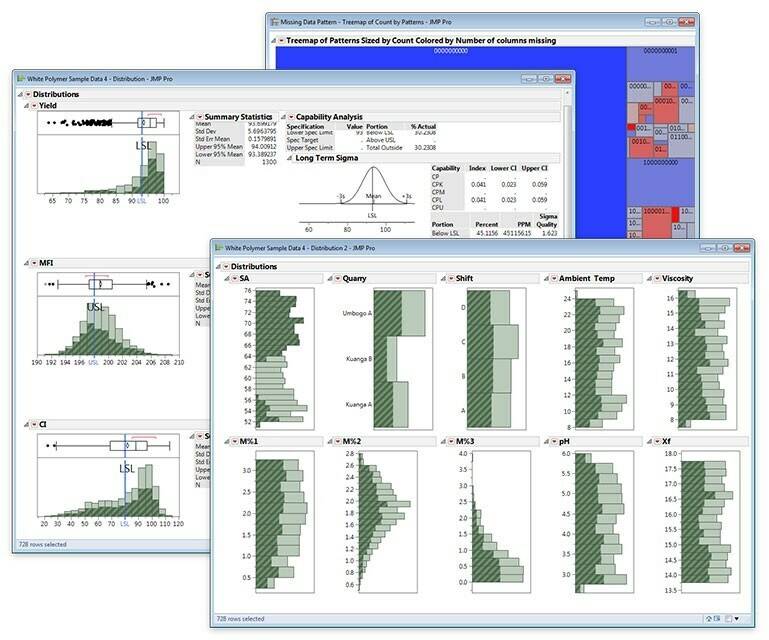 The ability to view multiple graphs displaying the same selected data is one of the distinctive architectural underpinnings of JMP, which allows you to explore the data and build on the analysis in multiple ways. 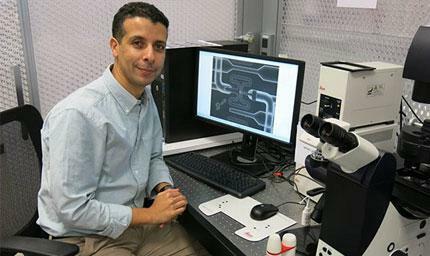 Perception is personal, and the open-ended nature of EDA means that you will develop your own style of analysis. JMP provides a wide repertoire of best-practice visualizations as part of the analysis output, so there are few limitations. Various tools allow you to pan and probe these displays, zooming in for a closer look. The innovative Graph Builder lets you interactively build displays with multiple X and Y grouping variables incorporating several types of graphs, including bar charts, histograms, line charts and contour plots. 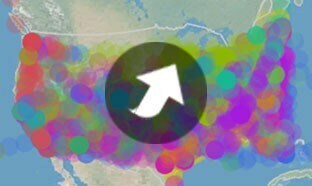 Even with high-dimensional data, you can find ways to see structure. 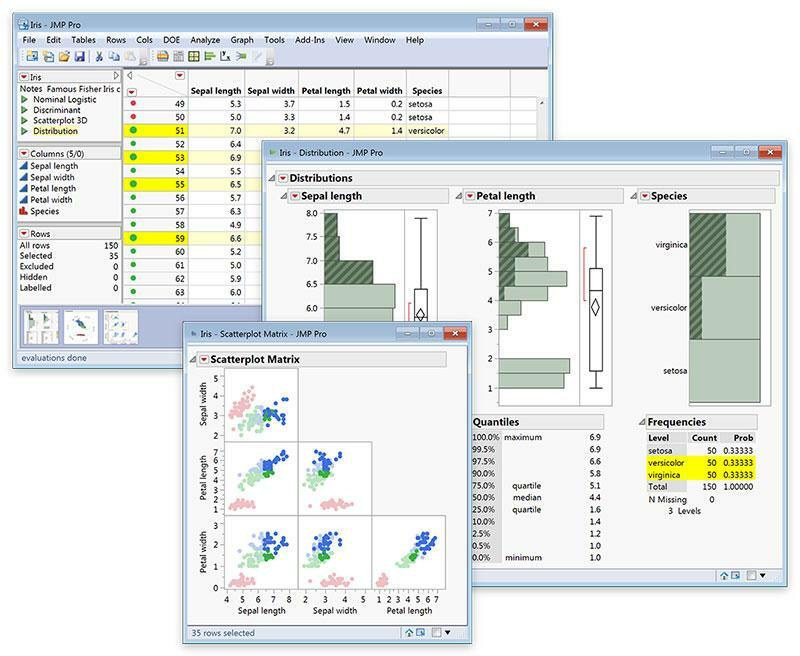 Added insight often comes from using multiple visualizations simultaneously, and dynamic linking and data filter capabilities in JMP make this approach especially useful. You can also use graphs to filter other graphs. 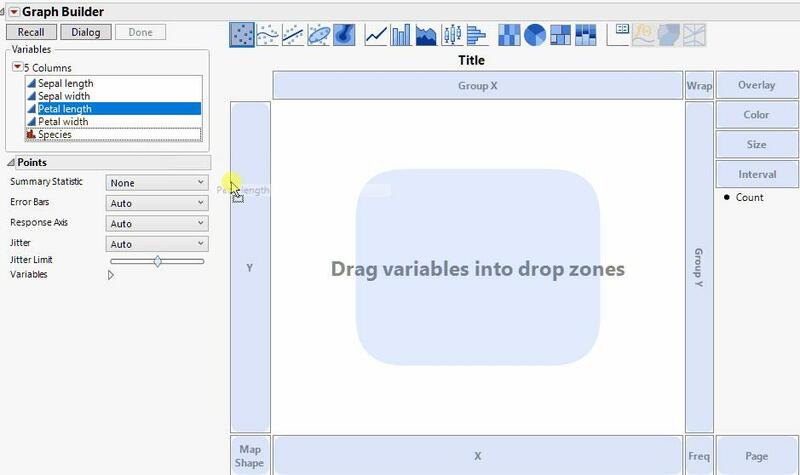 The drag-and-drop graphing capabilities in JMP let you quickly, interactively create and customize graphs – all in one place. Use your visualizations to find the stories within your data and quickly survey what is there to inform model creation. Develop a variety of charts and plots – geographic maps, line graphs, treemaps, waterfall plots and heatmaps, just to name a few – and customize the look and feel of the graphs to communicate your findings. You can even save graphs as interactive HTML reports to share with colleagues. JMP lets you control what data you use for your analysis using the Data Filter, which simplifies the process of identifying subsets of data and allows you to interactively select complex subsets of data, hide these subsets in plots or exclude them from analyses. The Column Switcher gives you the flexibility to quickly analyze different variables without having to re-create your analysis. The Data Filter and Column Switcher both make it possible to create an animated .gif recording of your visualization and embed the dynamic illustration in a PowerPoint presentation, for example. Drag variables into drop zones to create graphs that help answer your questions, develop your hypotheses or tell the story of your findings. 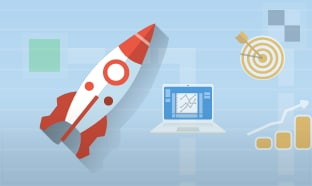 Create animated .gif files for a dynamic presentation of graphs. Drag variables into drop zones to create graphs that help answer your questions, develop your hypotheses or tell the story of your findings. 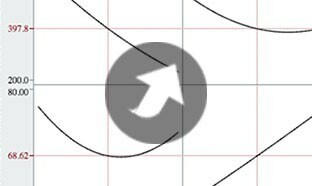 Create animated .gif files for a dynamic presentation of graphs (click image above to see animation). To show data geospatially, you must merge it with map views at any level of granularity. JMP includes prebuilt maps for countries, states and other regions. In addition, you can get even more granular by entering specific map details using a free JMP add-in that lets you quickly define the X and Y coordinates to match your data. 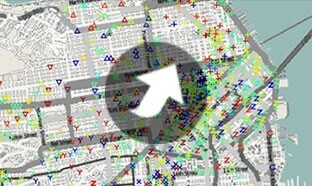 This allows data to be merged with geospatial maps at any level of detail required. JMP even lets you plot your data on street-level maps, giving you access to geographic features such as cities, roads or bodies of water. These additional details give geospatial context to your data, providing you with additional insights that would otherwise be difficult or impossible to unearth. These detailed graphs can also be compelling communication tools when sharing your discoveries. 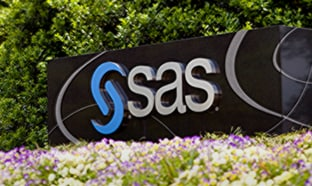 SAS servers host map data that create the images from open source maps available from OpenStreetMap (OSM). These servers can generate and return the maps when you select Street Map Service from any platform in JMP that supports background maps. 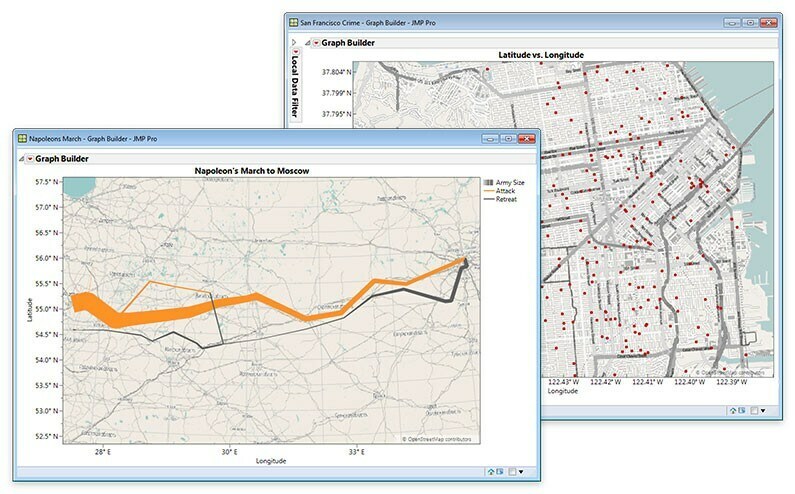 Use prebuilt maps in JMP Graph Builder as a starting point to plot data geographically. Plot data on street-level maps for access to geographic features such as cities, roads or bodies of water to give your data better geospatial context. Dashboard Builder helps you go from data to dashboard in minutes, no coding required. The purpose of your analysis is not just to create impressive graphs and statistics, but to help drive decisions. Whether it’s showing the distribution of input variables that impact outcomes you are trying to predict, or graphically displaying the relationships in those variables through the interactive Profiler, visualizations can communicate significant effects. By integrating interactive graphs with supporting analytics, JMP gives you the tools you need to make informative, compelling presentations of your results. Building dashboards with an intuitive drag-and-drop interface, which includes templates and the ability to easily share with others by creating an interactive HTML report or JMP Add-In. 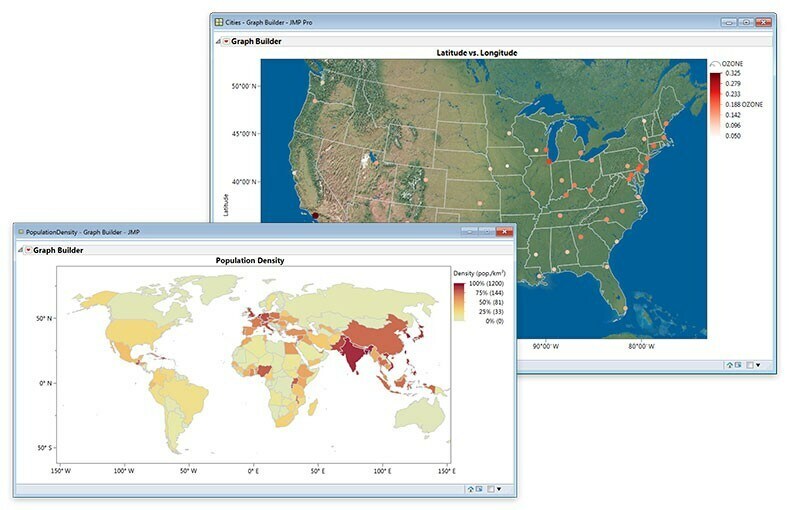 Learn more about building dashboards in JMP. Saving a collection of JMP reports as a web page report to share your analysis process with others who don’t have JMP. Exporting analyses to PowerPoint in a single click. Saving individual graphics or tables in publication-ready vector image formats or interactive HTML reports, which can be emailed to users or viewed on any device with a browser, including most mobile devices. 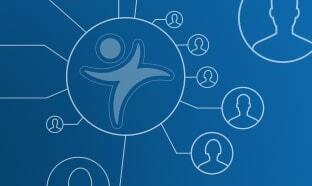 The JMP Graph Builder app for iPad® accesses the power of Graph Builder anywhere you use your iPad®. It is the best way to create, edit and view graphs wherever you are, and Data Filter lets you focus in on specific parts of the data that you are graphing. 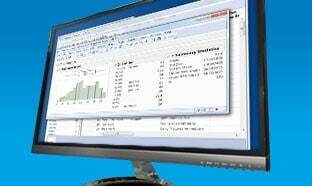 There are many ways that you can use the Excel data you have in JMP. 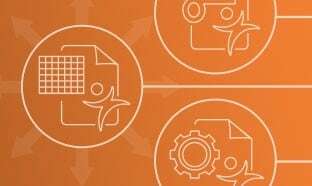 JMP can open Excel workbooks directly, aided with the help of the Excel Import Wizard, which assists you in formatting and preparing your data into an analysis-ready JMP data table. 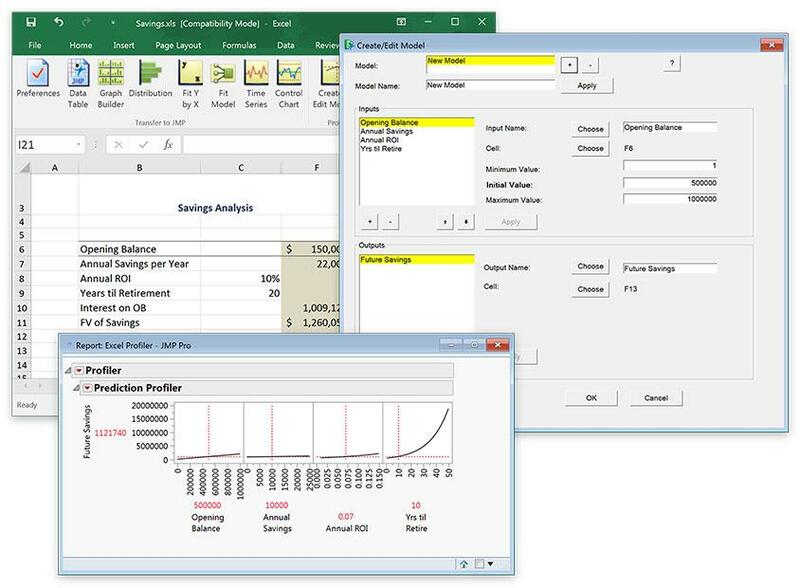 There is also a JMP Add-in for Excel, which can be used as an alternative way to manage the import of data from your spreadsheets into JMP, to add more analytical power to Excel for what-if analysis, and to perform Monte Carlo simulation to predict potential outcomes based on your targets. Finally, JMP is able to save data tables into Excel files, and even take multiple JMP data tables and turn them into a single Excel workbook. Dynamically explore and visualize Excel models in JMP using the Excel Profiler.